Two bags are better than one. It’s true, Fendi, Chanel, Chloe, Mulberry and Louis Vuitton all say so! The trend of toting two bags at the same time is coming in hard this season. Designers are featuring larger silhouettes like a tote or travel bag as a focal point and then accessorizing with a smaller pouch or clutch. Brilliant! 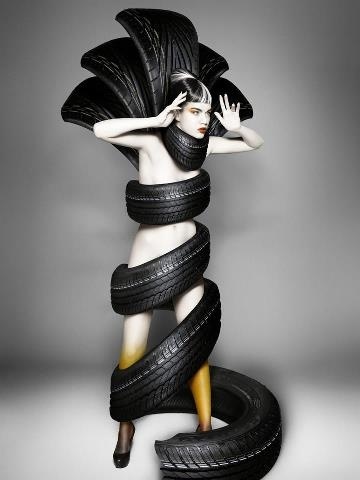 Thanks Fashion Industry! Now all of us fashion addicts can purchase two designer bags at once without feeling guilty and be totally justified. The first picture is Fendi, a functional and easy look to achieve. 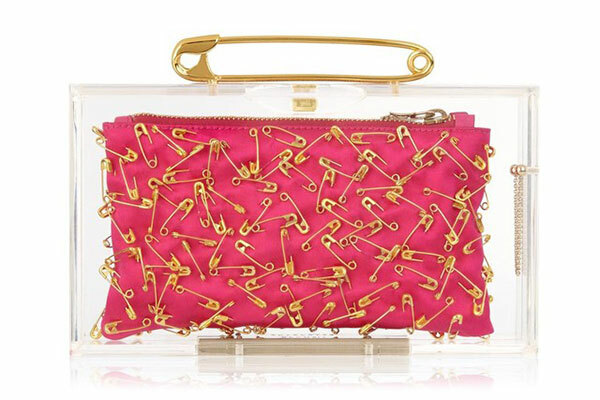 Add a tiny novelty bag to the outside of a larger one for a funky look. The third picture is Chloe. Just carry two in the same hand (no big deal). The fifth is Louis Vuitton. Just do it, carry two (everyone’s doing it). 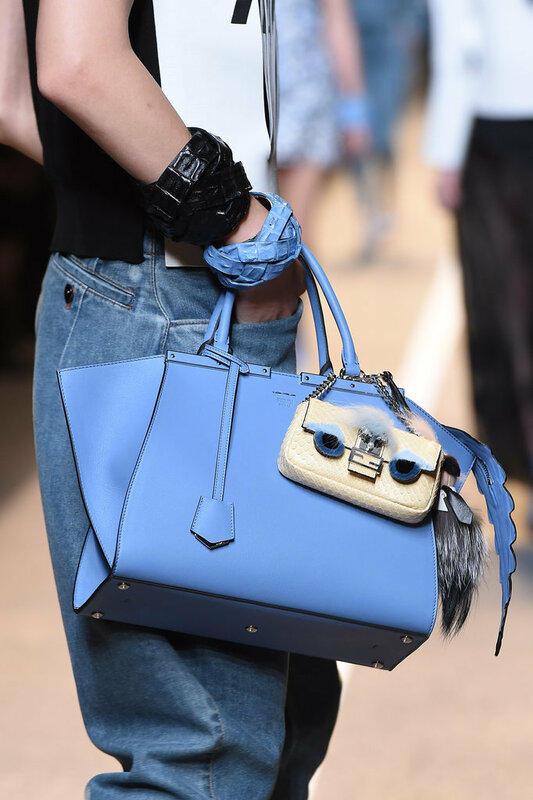 This is one sure way to drive handbag sales up for the season. Pretty soon we’ll see designer shoes hanging off of designer bags. Then we can buy two pair of designer shoes, one to wear on our feet and the other to accessorize our two bags. Woot! And, if anyone tells you that you have too many handbags or shoes, get rid of that person! You don’t need that kind of negativity in your life! The only extra baggage you need is CHANEL! As a boutique buyer, trying to figure out the “next big thing” can be overwhelming at times. With all of the runway and fashion shows, street style looks, and vendor suggestions influencing my buy, I have to set rules for myself. Rule #1- If I like it, I buy it. Rule #2- Always refer to rule #1. Paris Fashion Week recently ended (I live vicariously through photos) and the styles were from one extreme to the other. 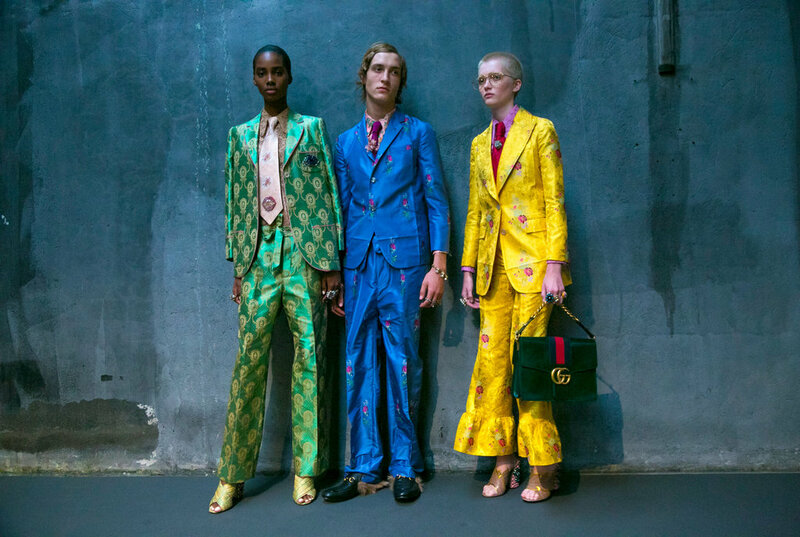 The runway shows tend to lean avant- garde, while the actual street style trends send a different (yet more palatable) message. One common thread I’ve seen on all walks during this time is skirts! Skirts are leading the way this season as a wardrobe staple. It doesn’t matter length or fit, anything goes. I’ve noticed mini-skirts paired with textured tights and floor-length maxi skirts with layered tops. From billowy, flowing ruffles, to A-line, retro-inspired classics, it’s all about the skirt! And I’m proud of the unique selection we currently have in stock at Roadkill Ranch & Boutique. The first two pictures are street style shots in Paris during fashion week. I love how the Parisians take their style seriously. The first time I went to Paris (not for fashion week, for fun) I was in culture shock. Everyone was dressed beautifully with tailored looks and stylish outfits. I did not see one disheveled person in sweat pants and messy hair. It was pretty damn amazing. The last four pictures are skirts we have at the boutique. We took our own street style shots in Fullerton, and I think we weighed in considerably. Although, we still see people walking aground in pajama bottoms and unkept hair, we’re at least trying our best to set fashionable standards. 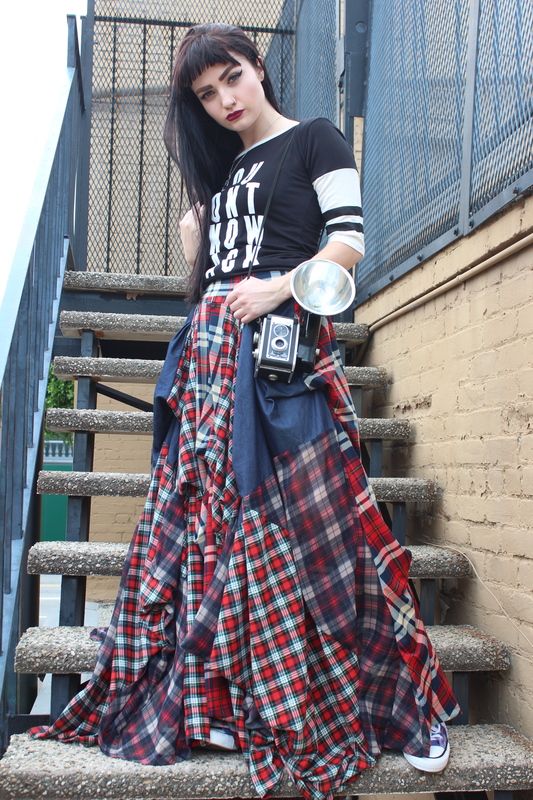 Look for long skirts with cascading ruffles in denim, plaid and chiffon. 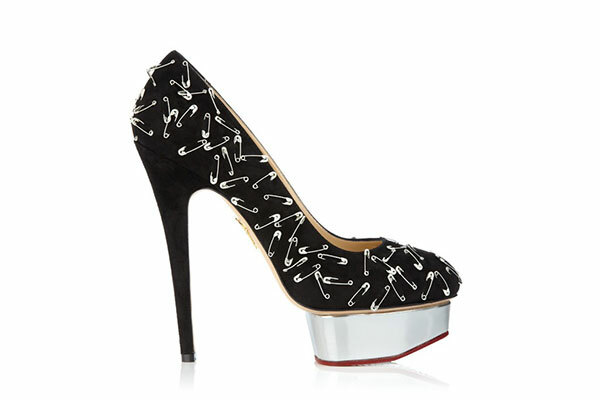 Pair with a fitted T-shirt for an eclectic look. A-line skirts are timeless, classic styles. 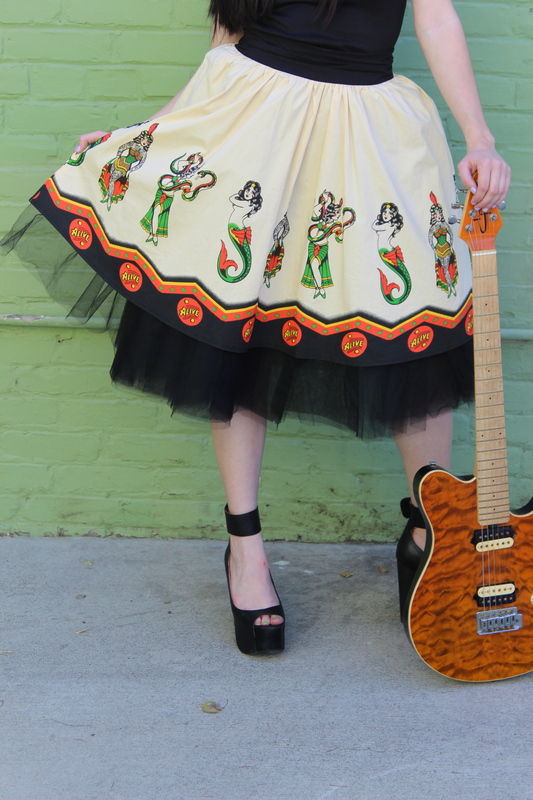 Wear alone for a clean, vintage-inspired look, or pair with a tulle petticoat for a Rockabilly flair. Pencil skirts never go out of style. Invest in a solid black or dark denim piece to mix and match with blazers and other silhouettes. 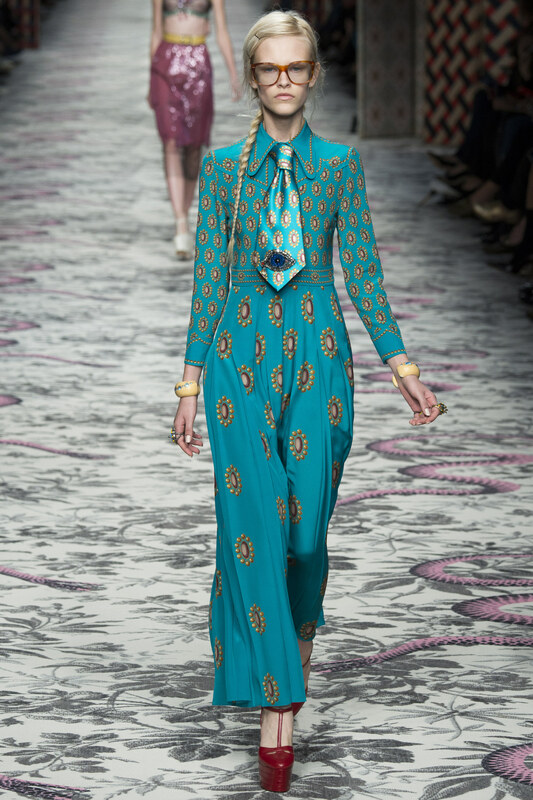 Look for piping details and all-over printed fabrics like polka dots and novelty prints. Just because you’re not in Paris doesn’t mean you can’t kick up that certain “je ne sais quoi” you’ve been hiding. 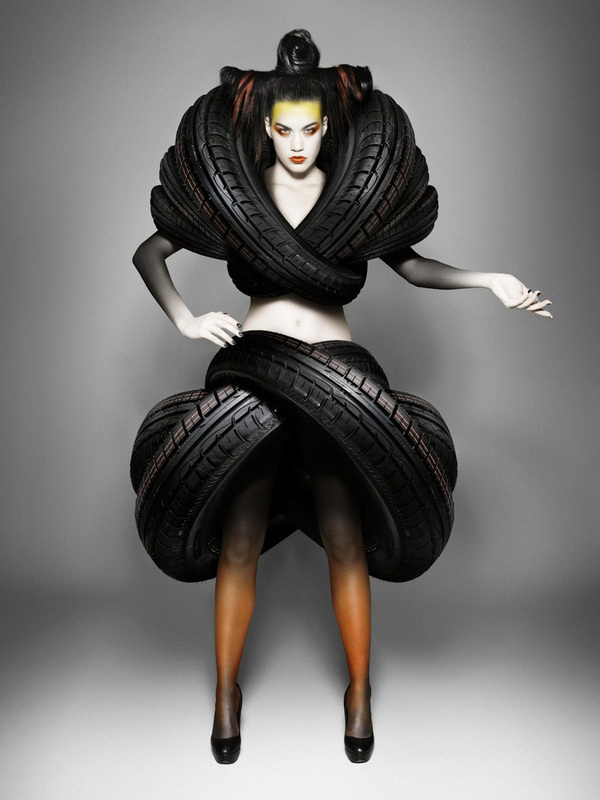 There’s been a huge emphasis on body type lately in the fashion industry. Yesterday I introduced you to plus-size model Tess Holliday who embraces who she is. Victoria’s Secret is talking about adding a plus-size model to their Angel runway shows to effectively represent their range of bra and undie sizes. 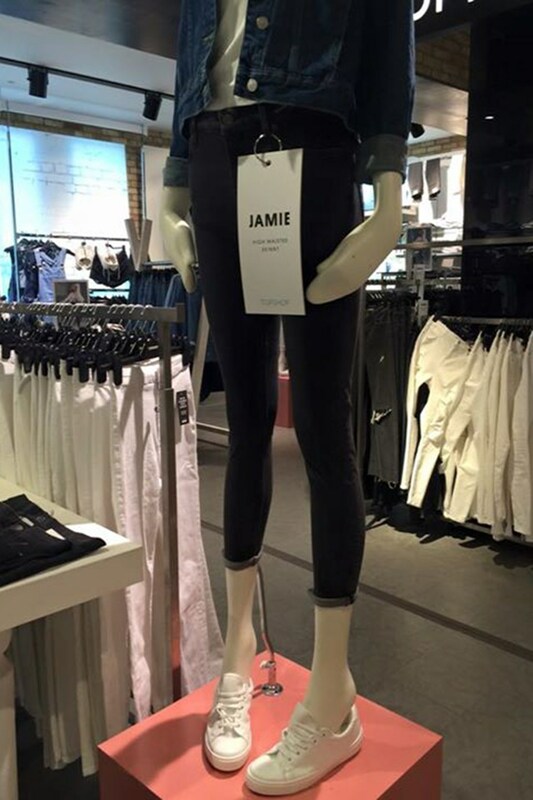 And now, Topshop, the junior chain store out of London has just been attacked for their mannequins being too skinny. Laura Berry lambastes the store, “I’d love to hear how you can justify the ridiculously tiny mannequin in your Bristol Cribbs Causeway store? We come in all shapes and sizes. There is absolutely nothing wrong with being the size you naturally are. I believe we should all feel comfortable in our own skin. Having said that, this mannequin is quite frankly ridiculously shaped.” She goes on in another rant accusing them of thinking they’re superior and insensitive, then brags how she took her size 10/12 legs and walked out the door. OK! STOP people! Just STOP!!! It’s a display! It’s one thing to be proud of what size you are, but when you start picking on helpless mannequins, that’s just wrong! And if you’re truly happy with who are, you won’t be hating on other body types! It’s contradictory! Maybe Topshop just wanted to show how the outfit looked pulled together? Displays come in all shapes and sizes too. It’s an art form, the art of merchandising. Now you’re offending the artist who made the form. (That’s wrong too!) 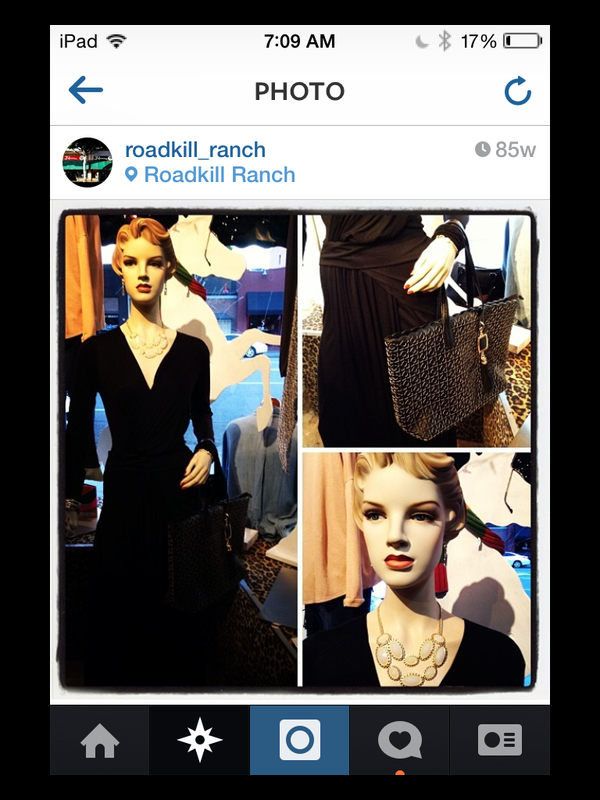 When we first opened Roadkill we made our own displays from wooden poles cemented in buckets. We were on a budget, and honestly couldn’t afford to buy mannequins, but wanted to display full outfits. Twenty-two-years later, we have finally acquired our very own mannequin. Seriously though, if you love who you are it will show, you won’t be hating on other body types or inanimate objects. If you’re not happy with who you are, make some changes. We all have choices and a free will. Just don’t choose to berate Maribel, she’s also got a temper and she’s not afraid to use it! The first pic is of the Topshop mannequin in question. The second pic is the day Maribel became a Roadkill Girl. Top: Maribel, Marlena Khamrov, Sydney Beaver, Julie Rasmussen, Savannah Kaefer and Barbara Vornholt. Bottom: Jeremy Popoff (owner of Slide Bar) and Julie Rasmussen. The fifth pic is of Maribel on Instagram. I didn’t bother cropping out our Instagram info just incase you’d like to join us. 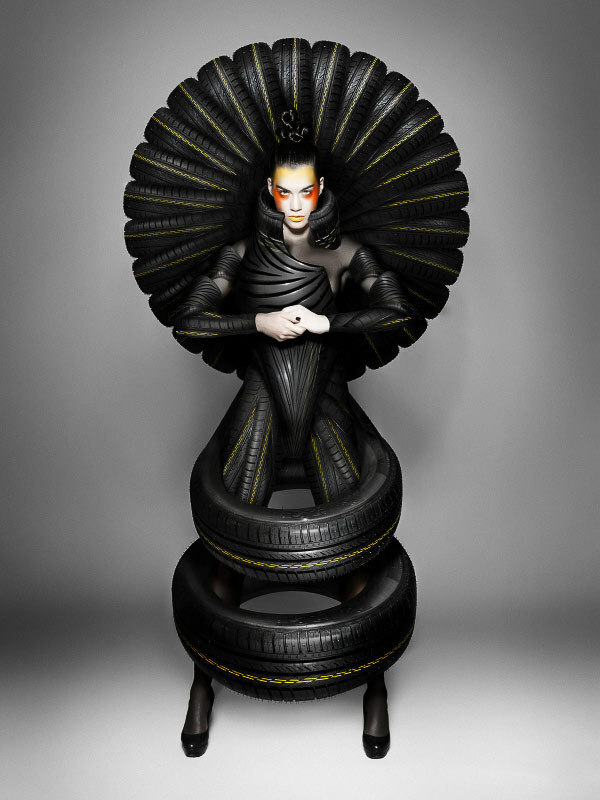 Check out more pics of Maribel by using the hashtag #maribelthemannequinisfabulous. 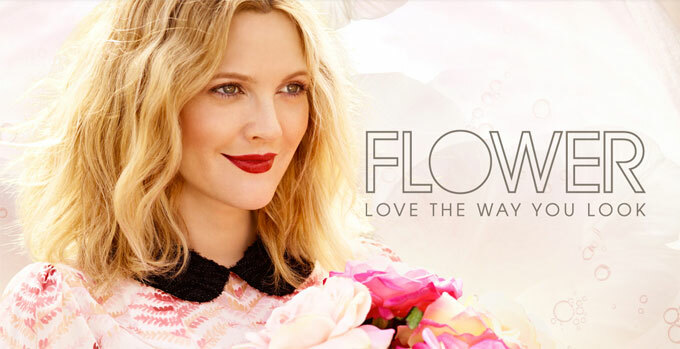 Drew Barrymore has just launched a new beauty and makeup line called Flower. “The reason I have created this makeup line is because I grew up in a makeup chair. I loved watching women in this aspirational environment. 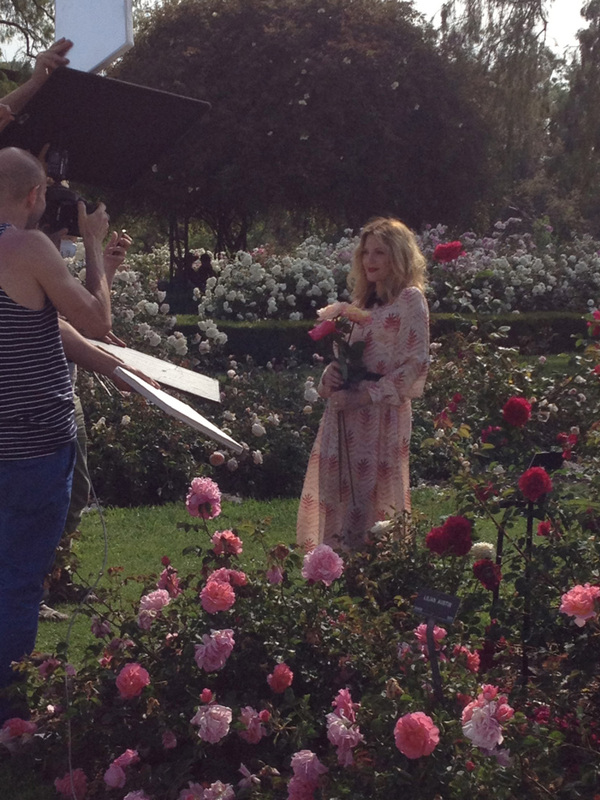 But it was and always will be important to me to send messages of empowerment.” Says Barrymore. Her new line will be sold exclusively at Wal Mart. I know what you’re thinking. Wal Mart? Why would a lady with such class and organic style be selling her beauty line at the world’s most mocked at retailer? Drew says she wanted to provide a quality product at an affordable price and make it accessible to ALL women. The collection is proudly made in the USA and is never tested on animals. She uses high-quality ingredients that are comparable to department store brands. Look for eye pencils, lip plumpers and nail polish. One of her biggest beauty secrets can’t be manufactured because she believes in the magic of a well-lived life. 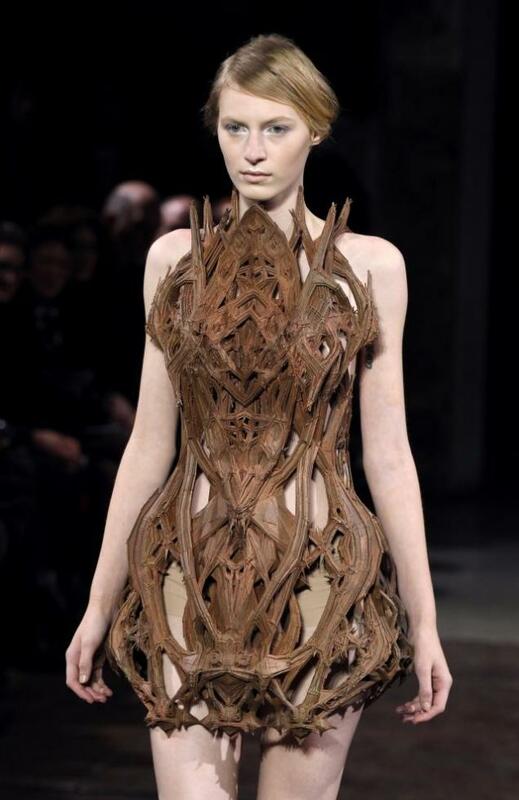 Here’s my “Freaky Friday Fashion” pic for the week, a hand-carved, wooden dress (I think it’s a dress─ could pass as a tunic) by Dutch designer Iris Van Herpen. It looks so effortless and comfortable. NOT! And what about the splinter factor? I love the intricately,carved designs throughout the bodice and neckline; truly a masterpiece. I’m sure Herpen’s sales would excel if she scaled back on the wood clothing and started incorporating her designs into furniture instead. The piece pictured is a great start to a headboard. When Marc (Have I told you I love you?) 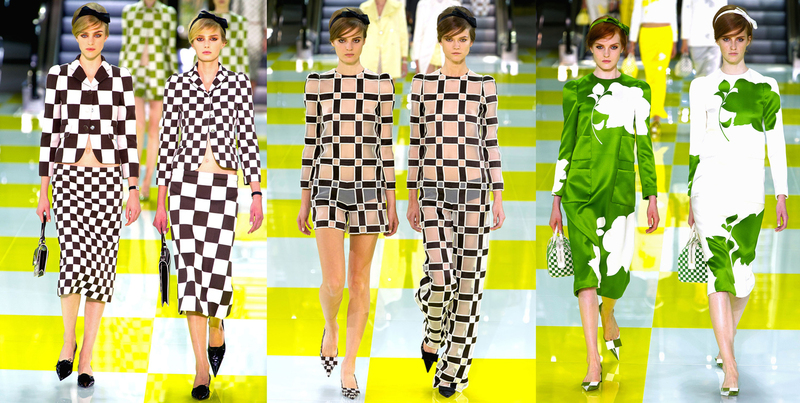 Jacobs unveiled the Louis Vuitton Spring collection in Paris last fall, it was another amazing production. The man is pure genius and is constantly outdoing each of his own shows. 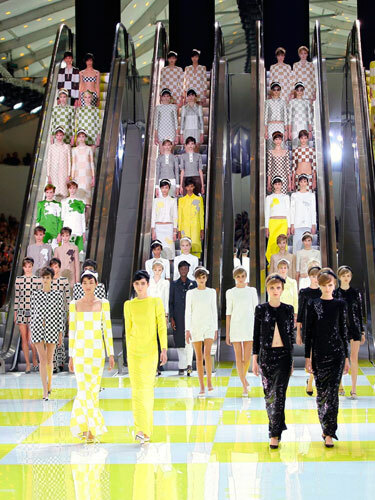 The models started at the top of the escalators as if they were coming down from “Fashion Heaven” onto the glassy floors of a 1960’s department store. 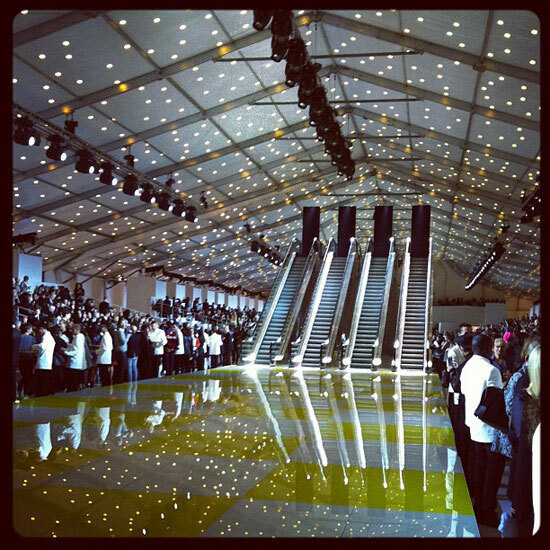 The escalator stage was built in collaboration with artist Daniel Buren to compliment the aesthetic of the clothing. “They are a moving pattern, a rhythm, it’s a mathematical equation.” Jacobs told reporters. 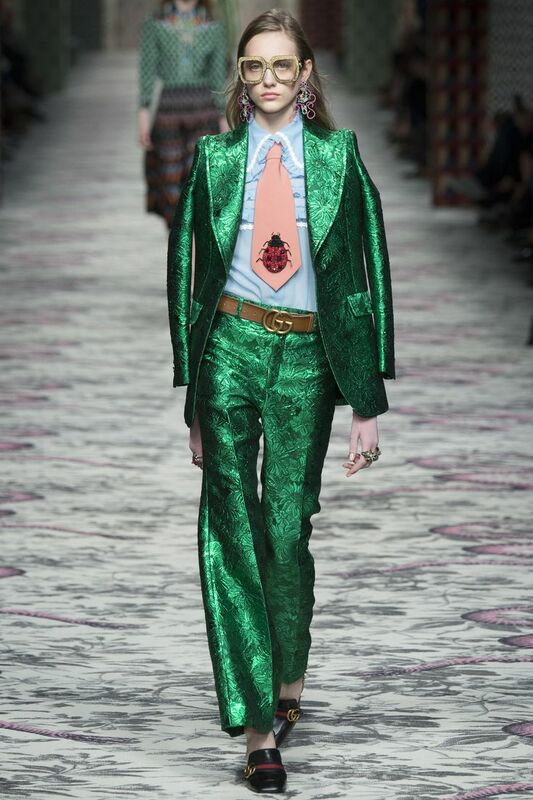 He undeniably sets the trends for the entire Fashion Industry and paves the way for each season. 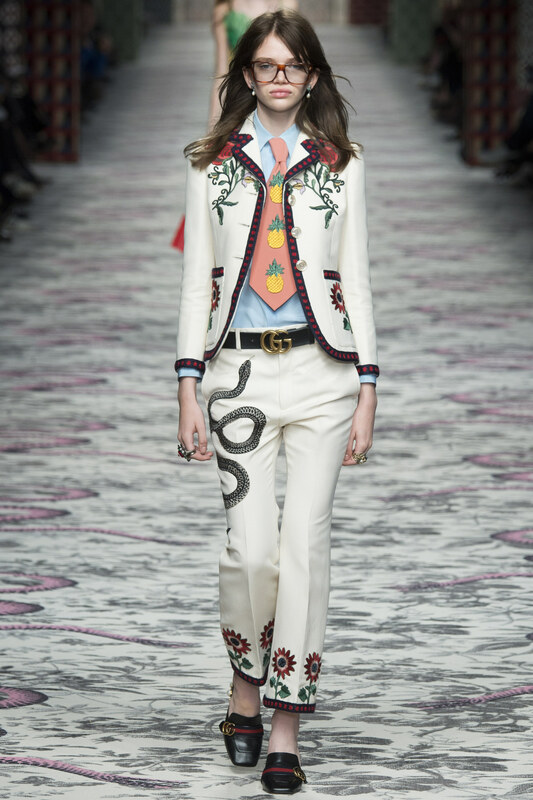 Designers everywhere are being influenced by his work, and we are seeing a lot of mod-inspired looks and bold, graphic prints in the stores. 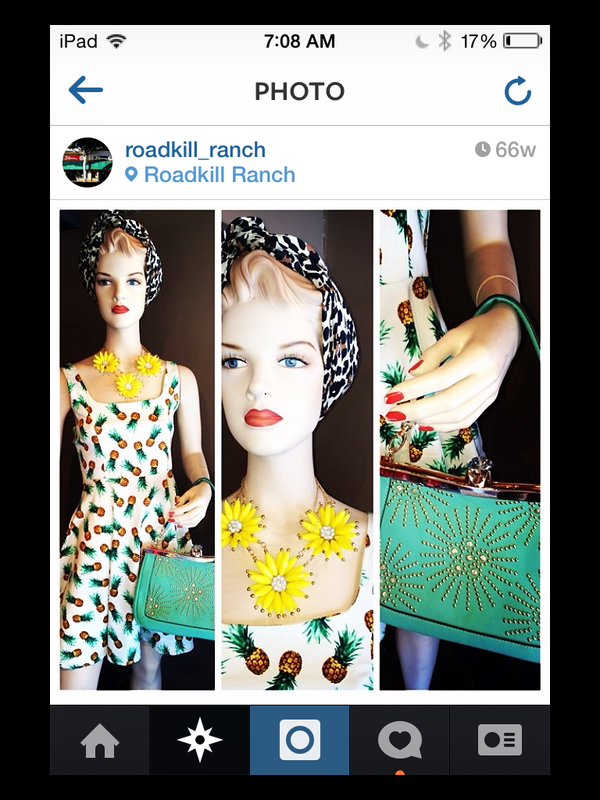 The bottom picture is an outfit that we have at my boutique (Roadkill Ranch). It’s not Louis Vuitton, but clearly inspired by. 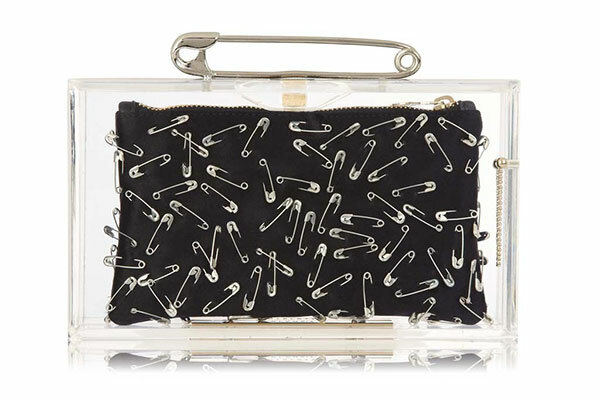 We are definitely tapping into the world of Marc Jacobs; but what else is new? Pair your black and whites with a pop of color like emerald, yellow, or hot pink for a fresh spin on spring.